Although the transfer window is currently still open around Europe, this season saw the leagues in England opt to close the window early in a bid to ensure there was as little impact on the season as possible. With the Premier League season coming back this weekend, the window closed at 5pm on Thursday. Whilst your attention may have been on the mega money moves, below we review how the transfer window went in League Two. It is not often that money gets spent in the fourth tier of English football as most clubs choose to wheel and deal on the free transfer market and save their hard earned pennies for the running of the club. However, Notts County have bucked that trend as they go in search for promotion this season and the signing of Enzio Boldewijn from Crawley showed a statement of intent to the rest of the promotion contenders. The powerful winger spent two seasons at Crawley Town and managed to get himself on the scoreline 10 times last season, a return which obviously got people’s attention. His performances earned him plenty of interest but it was the Magpies who won out in the end as he was signed on a three-year deal for an undisclosed six-figure fee. County did not end there in the transfer market either though as they strengthened their front line further with the captures of Kristian Dennis from recently relegated Chesterfield and Kane Hemmings from Oxford United, although the latter had spent most of last season on loan at Mansfield. Notts County have been rivaled in the transfer market by Lincoln City, who under the leadership of the Cowley Brothers have made major moves as they seek yet another promotion. Up front the Imps have secured the services of striker John Akinde from Barnet, who suffered a drop into non-league football at the end of last season. 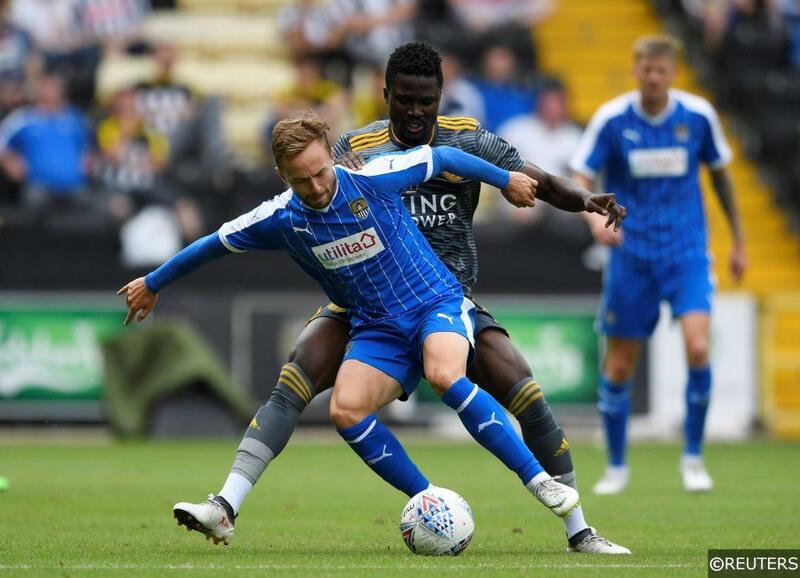 Akinde has managed impressive figures for the Bees, despite playing for a side who create little chances for him and were frequently among the lowest scorers in League Two before their demotion. It is not just upfront where Lincoln have strengthened though as on deadline day they moved quickly to acquire the services of former Premier League defender Jason Shackell. The 34-years-old may have already seen his best days on the football pitch but he brings with him a wealth of experience and he joins a defence which is already among the best in the division. The signing of the former Derby County man could not have come at a more welcome time either as Lincoln lost the services of their former captain Luke Waterfall earlier in the week. League One side Shrewsbury upset the odds last season with their remarkable run and although they ultimately fell short of promotion, they have made the move for the 28-years-old in a bid to tighten their defence. Waterfall is not the only man who will be playing his football at a different level this season and the talent that is in League Two has been highlighted by the transfer fees involved in getting a handful of players away from the fourth tier. Although his spell at this level was fairly brief, Mo Eisa was excellent at Cheltenham Town and made the jump from non-league football with very little trouble. His returns in front of goal and the quality of his build up play led Championship side Bristol City to part with a rumored £1.7 million to secure his services. The 24-years-old is enjoying a rapid rise up the leagues and if he makes the jump in level as well as he did the last time, we think that this will not be the first time he goes for a big fee. Another man who has also gone for big money is young centre back Ben Wilmot. The 18-years-old played alongside the likes of Jadon Sancho, now of Borussia Dortmund, Chelsea’s Mason Mount, Trevoh Chalobah, Dujon Sterling, Arsenal stars Reiss Nelson or Eddie Nketiah and Manchester City’s Phil Foden, the best player at last year’s Under-17 World Cup in England’s youth ranks. He has now joined the ranks of Premier League Watford after the Hornets offered a fee thought to be in the region of £2 million for the talented youngster. Of course, it is not only permanent transfers which can make or break a season in the transfer market and with the biggest clubs in the country having hundreds of players to select from, a lot of them have to go further down the ladder to get some first team football. Chelsea have made a living from their ability to loan out players to sides around the world but they have a talented academy and the signing of Jabcob Maddox by Cheltenham Town should not be underestimated. The 19-years-old may take a little while to adjust to this level of football but when he finds his feet he should be a key player for his temporary side. Tristan Abrahams has also come in at Exeter City from Norwich to help the Grecians up front. The 19-years-old joined the Canaries from Leyton Orient in July 2017 but is yet to play a first-team game for the Championship club. He made nine League Two appearances for the O’s in 2016-17, scoring two goals but he has developed since then and should prove to be a real handful for defences in League Two. Categories: Blog, Football, and Transfer News. Tags: League 2, league two, and transfer news. Team Tag: Cheltenham Town, Exeter City, Lincoln City, Notts County, and stevenage. League: England League 2. Sports: Football.